Travel Stories Have an interesting trip in your MINI that you want to share with others? Post it here! I am planning to do something this summer that I have always wanted to do. I plan on buying a new Mini Cooper S (my dream car) and taking a month and a half long cross country road trip to the West Coast and back. I live in Yonkers, NY. Some of the places I plan to visit are Baltimore, Skyline Drive, the Blue Ridge Parkway, Asheville, The Great Smoky Mountains National Park, Atlanta, New Orleans, Houston, San Antonio, Tucson, Phoenix, The Grand Canyon National Park, Las Vegas, San Diego, Los Angeles, then up the California coast to San Francisco, and continue up the Pacific Coast, visiting Portland and Seattle. On the way back East, I plan on visiting Yellowstone, Mount Rushmore, Badlands National Park, the Field of Dreams movie site in Iowa, Chicago, and Cleveland. 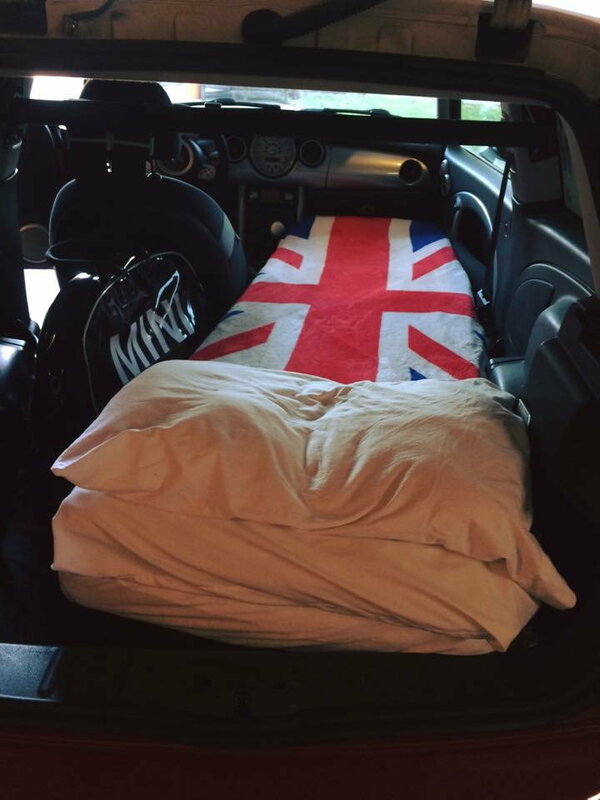 Has anybody ever done a road trip like this in a MINI? I am an average sized guy, so I don't think it will matter too much that it is a small car. 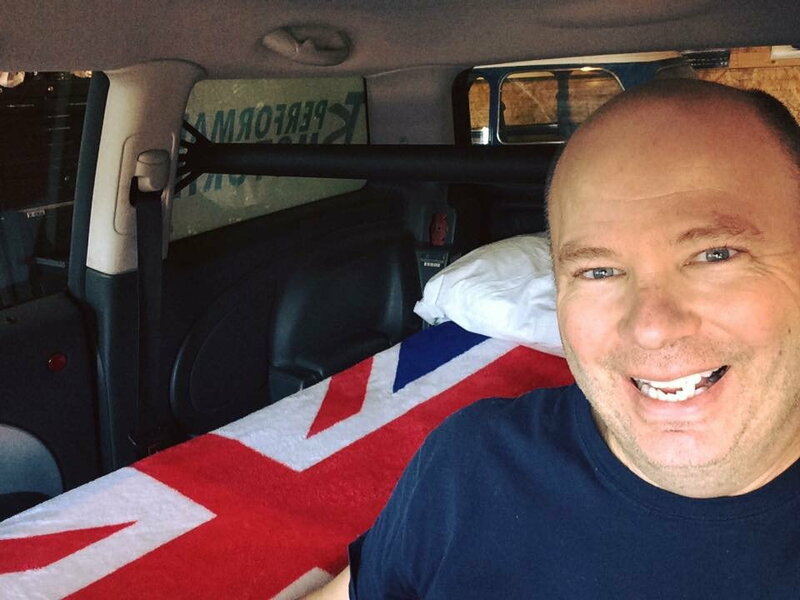 I have done similar trips in smaller cars and honestly, as long as the seats are comfortable and you can find a good driving position for those long stretches, you will find that any small car will do! I have a Countryman and have to say that the seats are very comfortable and every bit as nice as my wife's new Q7 and any manner of other cars we've had with good seats (A4, TT, Q5, 320i xDrive...). Plus you will have the added bonus of having a car that's nimble, fun to drive, sips gas and puts an ear-to-ear smile on your face! Of course, that might be the only discomfort you have.....that smile! The face muscles will start quivering after a while LOL. Sounds like a wonderful trip. Make sure you take pictures and post them! Oh, and have you bought that MINI Cooper S? Not yet. I am not looking for a Countryman. Probably just an S 2 door. I have a 2013 VW GTI now and I will probably trade it in. I went to Mini of Manhattan and I found out that if I have to factory order it, I should allow 3 months to be safe, so I will order no later than the end of March if I want to leave around the 4th of July. We've made several trips like that, the longest just short of 7K miles. Over time we've streamlined our packing and lifestyle making the journey the objective eliminating much of the process. Have a great time, take lots of pictures and keep your wheels between the ditches and the greasy side down. I did PA to LA and back on motorcycles with a friend a couple summers ago. It was awesome. We've done PA to Key West and planning on Seattle and back this summer. AirBnB is great but not available everywhere. We typically try to use AirBnB first, then hotels if there is not anything available. We've found some great spots that beat staying in hotels next to the highway. - Lancaster County - Come see the Amish, beats Baltimore. - Blue Ridge Parkway is very pretty, but budget plenty of time, it is slow. - If you are going to Houston, I'd recommend going to/spending the night in Galveston. - New Orleans was fun, Bourbon St is very touristy and smells like a pissed soaked version of Duval St. I enjoyed New Orleans more during the day than the nightlife. Use the streetcars to get around. - If you are going to the Grand Canyon, you should take a few days in the Northern AZ, Southern UT area. In that area you have Bryce, Arches, Zion, Monument Valley, Moab, and The Four Corners. This was probably my favorite section of our trip, it was just amazing. - The San Antonio to Tuscan run is a pretty long run, and it is sparse but pretty. Van Horn, Texas was the shittiest place we stopped on our trip, second was St. Louis. We did San Antonio to El Paso to Bisbee to Tuscon. Partially because we were staying with friends in Bisbee but I'd recommend checking out southern AZ if you're inclined to get off the beaten path. That was a pretty place to get off I-10. - Tombstone is a total tourist trap but it was fun to see and say we had been there. - Hottest part of the trip was Southern Cali. We road through the Imperial Valley going west and Death Valley going East to Vegas. Baker, CA was 119F the day we were there. - Vegas was OK, just wasn't my style. - The PCH was a nice ride, I would definitely say try and run the coast but I also have a desire to see the central valley. - Watch for motorcycles in LA, lane splitting is legal and utilized. - Walking around Hollywood was fun, I wouldn't try to drive around LA. Last edited by Derek86; 01-29-2019 at 05:15 AM. Derek, I've been to Amish Country. That place is the biggest tourist trap in the country. 2005 R50 MINI Cooper w/160k miles on it! Have done two MTTS, many MOTD and very many runs from Ohio to where my mom lived in CT! It is 80” from the rear boot to the glove box. That is awesome! I need to see if I can set up a similar setup in my F56. Put Tombstone, AZ as a very close competitor. The following summer went from Phx to San Diego, then took the PCH all the way to Seattle, then down thru Wyoming to spend time at Yellowstone. What you are proposing is a LONG trip, sounds like a lot of fun. No problem at all driving a Mini long distances. I am a touring motorcyclist and a MINI owner...if you get out west, don't miss US-12 in Utah, Beartooth/Chief Joseph Highways (WY-212 & WY-296), Lolo Pass (US-12 from Lolo, MT to Kooskia, ID), and US-395 from Burns, OR to Pendleton, WA...some of the greatest driving/scenery in the U.S.
Glad you chimed in here. You went on a road trip for 2 people, and it will be just me. Also, the Mini Cooper was smaller in 2012 than it is now. a seven-week cross-country trip in his 2009 Clubman two summers ago. We tent camped most of the time, so the car was stuffed like a 3-D Tetris game with our camping gear, cooking gear, and clothing. We started in California and went through the southwest to Nashville (for the eclipse), then up to the Boundry Waters area in Minnesota and up into Southern Canada. We ended up spending a lot more time in Southern Canada than originally planned because of the wildfires in the Rockies and elsewhere. I’d suggest you load up with AAA maps, leave plenty of time in your schedule for exploration, and chat with locals and other travelers along the way. Some of our most memorable stops weren’t on our radar when we started our trip - or when we started out that day, for that matter! BTW my boyfriend is tall enough that he removed the Clubman’s rear view mirror because it interferes with his visibility - so having the car packed to the gills wasn’t a problem for him. Last edited by VRBeauty; 02-07-2019 at 01:37 AM. I'll jump in again. West bound, I'd strongly recommend US 60 across southern MO then 160 a bit west of Joplin all the way to Durango. You'll kick yourself for not driving the million dollar highway up to Montrose, a rocky mountain dragon tail, then up to Grand Junction and in to Moab. Spend 2 or 3 days there. Dead Horse canyon is where the girls went flying off the cliff. I'll second Derek86's suggestion to visit Moab. We did a Utah trip a few years ago to hit some of the National Parks. Canyonlands was my favorite. No crowds and spectacular views. I ordered my new Mini today at Mini of Manhattan. A 2019 Mini Cooper S, Electric Blue with white top and white bonnet stripes and Cosmos Silver Spoke wheels. I should be getting it by the end of May. Now I'm $34,000 poorer, but looking forward to my trip. Last edited by RRusso1982; 03-14-2019 at 04:05 PM. Oh what a happy smile! It makes me slughtly jealous while looking at your photo. Good luck on the road and don't forhet to check the weather (https://ru.needcalc.com/weather/spain is a great service, weather availiable anywhere in the world). Cross Country road trip in a Countryman?? Cross Country Road trip Music for MOTD ?! ?